Assault and battery are not crimes that the state of Florida takes lightly, and these charges have the potential to ruin your future. Assault occurs when an action or a threat places someone in imminent fear of a non-consensual touching– it does not involve physical contact. Battery, on the other hand, can be defined as an intentional act of harmful or offensive touching of someone without permission. To be charged with battery, the individual who was physically harmed does not have to require medical treatment. The accomplished criminal defense attorneys at Perez LaSure Law understand the risks these charges pose to your record, and we will fight for your rights inside and outside of the courtroom. 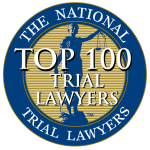 Sometimes these cases can be difficult to prove, but they can also be difficult to defend if you are without an attorney. Hiring a skilled criminal defense attorney greatly increases your chance for a successful legal result, and removes the stresses that come with handling a case from your shoulders. The criminal defense attorneys at Perez LaSure Law are dedicated to each and every one of their clients, and will work tirelessly to ensure a positive outcome for your case. We understand the importance of maintaining an untarnished record, and we believe everyone has the right to defend themselves for any crime or misconduct. If you or a loved one are being charged with assault or battery, contact us immediately to schedule an initial consultation to discuss your legal options.